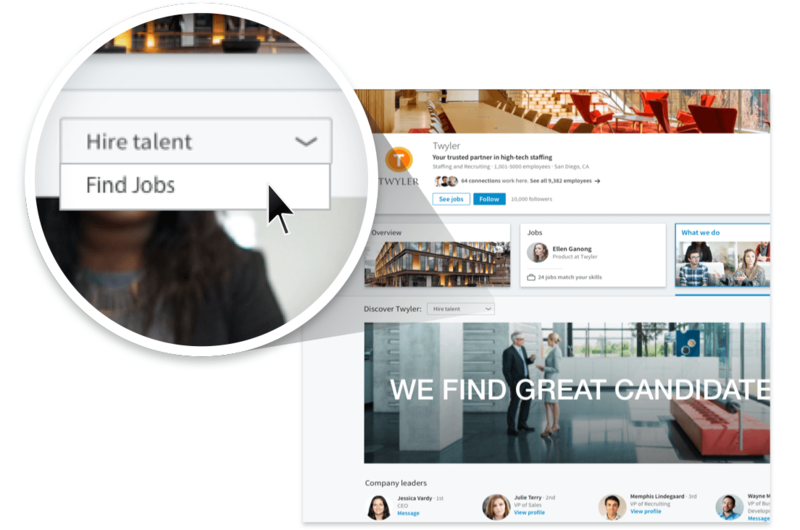 Today, we are excited to announce the new LinkedIn Career Pages for Staffing Firms, our second major product this year focused specifically on creating value for search and staffing clients on LinkedIn. Back in April, the release of Contractor Search in Recruiter opened the door for search and staffing firms to proactively find and recruit more interested talent for temporary roles. With today’s launch, we are enhancing their performance on LinkedIn even further with a Career Page designed to engage and convert both prospective clients and target candidates. Unlike traditional LinkedIn Career Pages designed to serve corporate employers, Career Pages for Staffing Firms supports distinct messaging and experiences for prospective clients and targeted candidates, with each experience optimized to convert traffic into leads. When a candidate or a client visits the page, they can choose a customized view, with relevant messaging and content. The “Hire Talent” view for prospective business clients showcases company leadership, relevant testimonials, and a call to action for companies to provide details on the types of roles they are looking to fill. Candidates can choose the “Find Jobs” view which includes features such as key recruiters, testimonials from candidates and companies and a prompt for the job-seeker to share more information. Both views come with a customizable “Contact Us” module to make it simple to contact the team directly. Career Pages for Staffing Firms encourages prospective clients to indicate the roles they are looking to fill (see above), and similarly encourages candidates to indicate the kind of jobs they’d be interested in. The client or candidate is also prompted to share their contact info directly with the staffing firm. 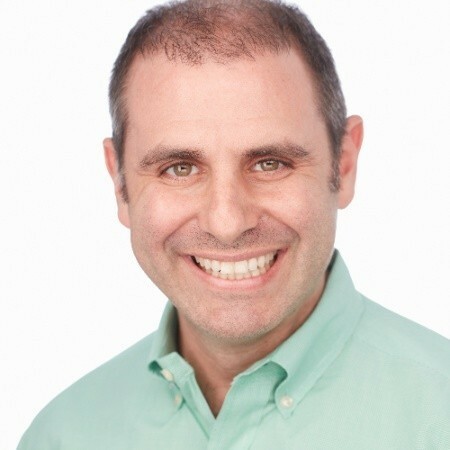 Career Pages for Staffing Firms is a further step in our commitment to helping our staffing customers grow, earn new business and delight candidates by connecting them to the right roles. I look forward to engaging with customers in the coming months, learn more about their hiring needs and how to solve for those through our support teams and our products. To learn more about our other product updates we’re releasing this month, including the launch of Pipeline Builder and the new Commute Time feature visit our Product Updates hub.